This week, dear listeners, Windy expounds about a genre of films that she is inexplicably fascinated by: underdog sports movies! 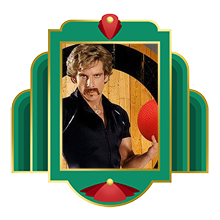 Grab your sportballs and join us! If you would like to drink along, make friends with a Wisconsinite and get yourself a bottle of Three Lakes Winery semi-sweet cranberry wine. We sure did!